Blog Microsoft Azure How to Prepare for Microsoft Azure Exam AZ-301? How to Prepare for Microsoft Azure Exam AZ-301? Microsoft Certified Solution Architect has become one of the most distinguished job titles in the IT industry these days. Winning this certification exhibits your proficiency and understanding of various aspects of IT job fields including virtualization, networking, data management, security, identity, budgeting, disaster recovery, governance and much more. To obtain Microsoft Azure Solution Architect certification, passing the exams AZ-300 and AZ-301 is a must. We’ve previously published the AZ-300 exam preparation guide. Here, in this article, our role is to assist you for AZ-301 Exam Preparation which is the 2nd step in acquiring an Azure Solution Architect certification from Microsoft. Why You Should Go for Microsoft AZ-301 Architect Design Exam Preparation? The need to go for AZ-301 exam preparation can be elucidated for two reasons. The first scenario comes when you analyze the relevance of this exam as part of your Solution Architect journey. As you may know, getting Solution Architect certification from Microsoft can be quite impractical if you won’t able to pass in any one of the exams AZ-300 and AZ-301. If you have already passed AZ-300, a fail in AZ-301 hinders you from getting the certification. Since the exam AZ-301 is considered as fairly tough, you should take your AZ-301 exam preparation pretty seriously along with proper strategies and trustworthy AZ-301 Architect Design exam study materials. The next scenario comes when we analyze the real-time job demand for this career option. In this context, we can get a fair idea about the growth or decline of this career if we make an in-depth analysis of the salary and related prospects. According to PayScale’s latest update, An Azure Solution Architect is likely to receive an Average salary between $85000-$162000 in the United States alone. This can be more or less similar in many of the growing markets in the technology domain. These facts can be very relevant for you if you are seriously looking for Microsoft AZ-301 Architect Design exam preparation options. It’s not just because of the remuneration package an Azure Solution Architect is about to receive, but by taking consideration of the overall acceptance of this career option in the technology domain. Besides that, this career has been showing a tremendous growth potential in the upcoming years with the increase in the adoption of a public cloud platform such as Azure. Even if we are discussing azure certification exam preparation for exams other than Solution Architect, these facts are applicable to an extent. Do you know about the new learning path of Azure Certifications? If not, check out New Role-based Microsoft Azure Certifications here. AZ-301 exam follows a similar structure to most of the Azure role based exams. You don’t have to bother much about exam policies, pattern, scoring, and related aspects if you have prior experience of taking any of the Azure role based exam. This also helps you to keep more attention on exam modules rather than exam related policies. Anyway, it’s always good to recall these points as part of your AZ-301 exam preparation since it can solidify your knowledge in Azure exams. Below, you can see some of the basic information about AZ-301 exam you need to know. Although the number of questions in the AZ-301 exam is subject to change over time, you can expect around 40-60 questions if you are taking this exam now. You can expect different question formats and types in this exam including review screen, mark review, multiple choice, short answer, hot area, repeated answer choices, drag and drop, case studies, build list, the best answer, and active screen. Just like in the case of a number of questions, it’s not necessary that you’ll get all of these types of questions in the exam; but all the questions in the exam will follow any of these question types. You will get around 150 minutes to complete the exam with an additional 30 minutes of sitting time. For getting good results in the exam, it’s required to follow the weight associated with each exam modules during your AZ-301 exam preparation. If you are living in the United States, you have to pay $165 for taking the exam. This pricing is subject to change without notice from country to country. As the pricing doesn’t include applicable taxes, you need to confirm with your exam provider for an exact fee. If you are a student, you’re eligible for a fee reduction in the exam if you can submit your valid educational credentials. Microsoft Partner Network Program Members, Microsoft trainers, and Academy program members are also eligible for reduced pricing. Most of the Microsoft technical exams requires a passing score of 700, AZ-301 is not an exception. Any score greater than or equal to 700 will be marked as “pass”, otherwise it will be marked as “fail”. Most of the short answer questions in this exam are worth one point. If any question is worth more than that, it will be indicated in the question part itself. Also, note that there is no penalty for incorrect answers. You will know the results of your exam within a few minutes after your exam. Apart from that, you will get a printed report card that contains your exam score and your performance score in different areas in the exam. This exam provider will send you this scorecard within 5 business days. This scorecard contains different elements such as your pass/fail status, performance in different skill areas in the exam, overall performance, and details on how to interpret exam results. Doubts regarding exam retake policies can often distract candidates during their AZ-301 exam preparation. If you are a candidate who fails to qualify the exam in your first attempt, you must wait 24 hours to retake the exam. If this happens for the second time, you must wait at least 14 days before retaking the exam. In this way, you can take a maximum of 5 retakes in a year. But if you pass the exam, you can’t take the exam in most cases. Similarly, there is a definite Microsoft policy on the exam cancellation. You’ll not be charged if you cancel or reschedule the exam at least 6 business days before your appointment. If this process happened within 5 business days of the exam, a nominal fee will be applied. In case you couldn’t appear for the exam or fails to reschedule or cancel the exam at least 24 hours before the appointment, the entire exam fee will be forfeited. This is another must-know factor for those who have either started or planning to start an AZ-301 exam preparation. Haven’t passed Azure AZ-300 exam yet? 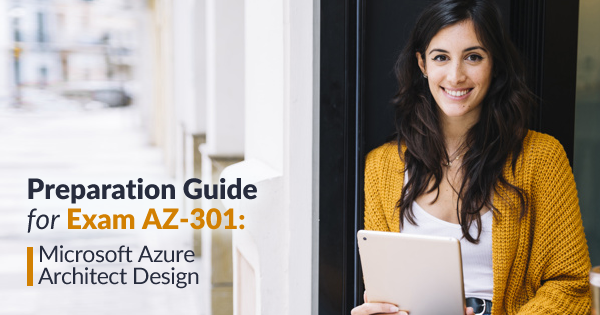 Start your preparation with the Azure Exam AZ-300 preparation guide. How to Register for the AZ-301 Exam? As you have already registered and taken AZ-301 exam, the procedure of AZ-301 exam registration would not be unfamiliar to you. Once you feel your AZ-301 exam preparation is sufficient enough, you can move on to AZ-301 exam registration. The key steps are described below. Go to Microsoft Exam Page for AZ-301 and click “SCHEDULE EXAM” link. It will redirect you to the Microsoft’s exam registration page. Using your Microsoft Account details, log in to the Microsoft exam registration. When Microsoft’s exam registration page appears, you can see a form that requires you to fill up your name, job role, and address. Enter your valid credentials and click “Save & Continue”. Next, you’ll see an account linking page. If you’re a Microsoft employee, you can link your employment status here to avail more benefits for taking the exam. Otherwise, you can skip this section and move to the next page to continue your AZ-301 exam registration. The rest part of your exam registration will be done on Pearson VUE, Microsoft’s official partner for this exam. Here, you can choose the exam delivery option where you can take the exam. You’ll have different options such as local test center, at your home, Certiport test center, etc. in this page. Choose one according to your convenience and move to the next page. In the next page, look for an available schedule for taking your exam. Choose a date and time according to your convenience and move to the next page. Now, you can proceed to the checkout page to pay the exam fee. You’ll be provided with different credit/debit cards to make the payment. Yes, you’ve successfully registered for the AZ-301 exam. Considering the difficulty level of the exam topics, Microsoft has structured this exam in a way that’s much adaptable to professionals who have either started their AZ-301 Exam Preparation or planned to prepare for this exam in the near future. 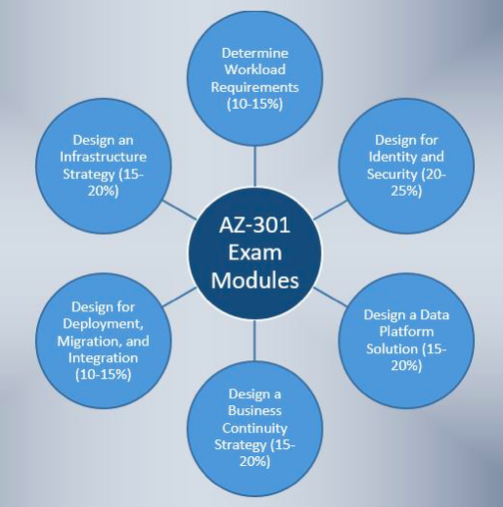 If you refer any preparation guide for Microsoft AZ-301 exam, you can see these modules. Below you can see the listing of these modules with the relative weight of each module in the exam. About 10 to 15% of the total questions in the exam can come from this section. This module is broadly divided into three subsections. 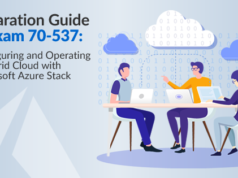 The first subsection deals with gathering information and requirements from various Azure resources which can include tasks such as identity & access management infrastructure, identify compliance requirements, service-oriented architectures and many more. Next subsection is dealing with how to optimize consumption strategy. Finally, you will know how to design an auditing and monitoring strategy. If you have read several AZ-301 exam study guides, you’d have noticed that the topics under this module have given a significant value over many of the other modules. Its reason is none other than the high weight given to this section in the exam. About 20-25% of the total questions in AZ-301 can come from this section. This section includes sub-areas such as designing identity management, designing authentication & authorization, design for risk prevention for identity, and finally designing a monitoring strategy for identity & security. 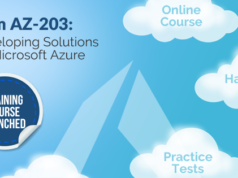 Because of the relevance of these topics in AZ-301 exam, a reliable azure certification exam preparation guide may give more weight for this module to help you for expediting your AZ-301 Exam Preparation more than ever before. This module intended for testing your proficiency in designing data management strategy, designing data protection strategy, designing & documenting data flows, and finally designing and monitoring strategy for the data platform. As this module contains 15-20% questions of the exam, skipping or giving less attention to this section during your AZ-301 exam preparation can severely affect your exam results. In this module, you have to exhibit your expertise in areas like designing site recovery strategy, design for high availability, designing data archiving strategy, designing disaster recovery strategy for individual workloads, and designing a data archiving strategy. The weight of this module is around 15-20% of the overall exam. As the title says, you are responsible for designing deployment, migrations, and API integration strategy in an Azure infrastructure. You can expect 10-15% of questions from this section. This module contains many sub-topics including the designing of storage, compute, networking and monitoring strategy for infrastructure. As the relative weight of this module is 15-20%, it is never a good idea to neglect this section when you get any AZ-301 Architect Design exam study materials for your AZ-301 exam preparation. Have already passed the exam 70-535? Take AZ-302 exam now to get the recognition as Certified Microsoft Azure Architect. The AZ-301 exam aspirants can adopt different strategies for AZ-301 exam preparation in accordance with their convenience and time. Here, we can suggest some good methods & preparation guides for Microsoft AZ-301 exam that can definitely help you to pass the exam with ease. It is not necessary to follow all these AZ-301 Architect Design exam study materials to reach your goals. But, many of these methods would be appropriate to you. You may find free and premium resources here where each type having its own advantages. So, let’s see some of the resources that can benefit you in your Az-301 Exam Preparation. No matter whatever be the number of preparation guides for Microsoft AZ-301 exam you have or follow, your first and foremost AZ-301 exam study guide should be Microsoft’s official page for AZ-301 exam. This page contains comprehensive information on exam modules, scheduling & preparation options, exam policies, exam requirements, and much more. As the scheduling links to take the exam is available only on this page, there’s no way you can skip this page during your AZ-301 exam preparation. Above all, the important updates regarding the exam will be first available on this page. AZ-301T01: The course helps you to manage security and identity in Azure infrastructure. Also, you’ll know about integrating multiple Azure SaaS solutions into existing Azure solutions. AZ-301T02: The intention of this course is to equip you for the effective management of Azure Data platform. Here you will know how to compare and contrast different Azure database options, locate available data streaming options for very large data ingest and find out the long term data storage options. AZ-301T03: Learning to deploy ARM template to a resource group, authoring complex deployment with the help of Azure building block tools, integrating a Logic app or API with the API Management service, etc. are some of the important tasks you will learn with this course. AZ-301T04: In this course, you will know how you can describe DNS & IP strategies of VNETs in Azure, compare connectivity tools for ad-hoc and hybrid connectivity, distributing network traffic across multiple loads with the help of load balancers, and finally designing hybrid connectivity scenario between on-premise and cloud. Till now, there’s a lack of availability of trustworthy books for your AZ-301 exam preparation. However, you can keep searching for genuine books from the trusted sources. Same is the case with white papers. Anyway, there’s an option to search for white papers & eBooks on Microsoft Azure portal. If you can utilize this search option well, it’d be a good step on your AZ-301 exam preparation. Microsoft periodically updates different study resources on its different certification pages. Whenever there is a sample test available on our AZ-301 exam, it’ll first appear on the Microsoft Learning page for AZ-301. If you can’t find any of such tests on Microsoft’s page, we can help you by providing some relevant test papers for your AZ-301 exam preparation. Once you practice such a test, you’ll get the precise nature of the exam. Forums and study groups are one of the most cost-effective ways that can help you in your Azure certification exam preparation. As compared to the AZ-301 exam study guides and sample tests that can cost you more money, this method can be very convenient and capable to solve many of a candidate’s doubts and questions regarding the exam. In an AZ-301 study group or forum, you can share any of your queries regarding this exam. There’ll be experience people you can resolve your doubts in these groups. You can access the official study group from Microsoft’s learning page for AZ-301. Apart from such a study group, you can find similar discussions about the exam AZ- 301 in various other Azure forums. Have any questions regarding Azure AZ-301 exam? Write in Whizlabs Forum and get answers to your questions by the experts. 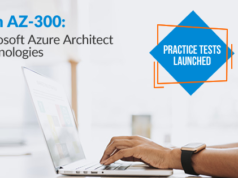 Qualifying AZ-301 exam not only proves your proficiency in Azure Architect technologies but helps you to stand out from your peers in the same industry. Besides, an Azure Solution Architect is a high demanding tech job with attractive pay and huge growth opportunities. With a pass in this exam, you are becoming an acclaimed Azure architect whose scope ranges in various levels of Azure technologies. Anyway, to reach this goal, you may need to reform your AZ-301 exam preparation strategies in accordance with the latest trends so as to result in the maximum output for your efforts. Our purpose isn’t different from this. Wish you good luck for your exam.